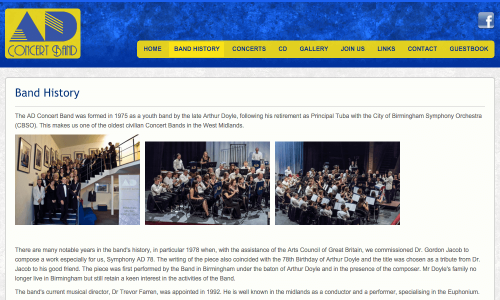 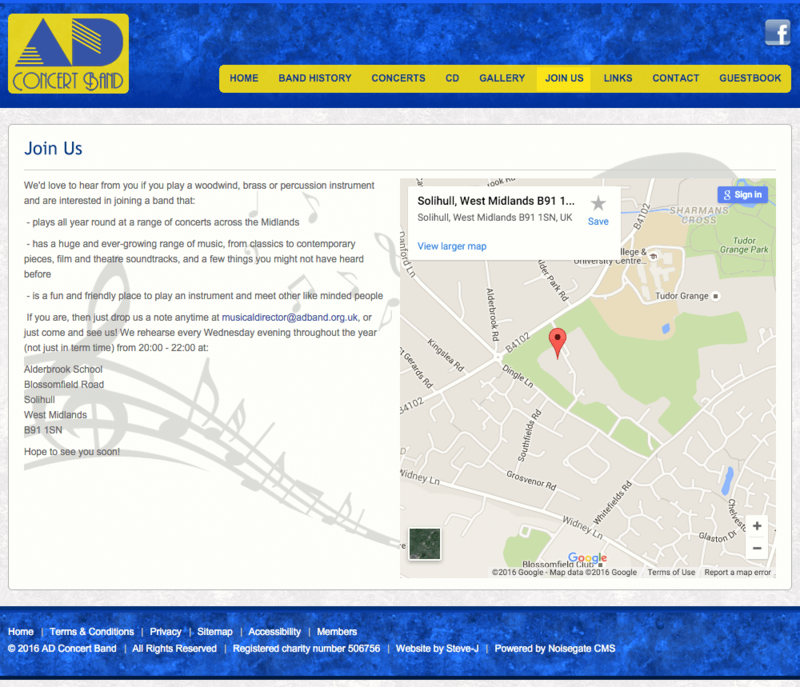 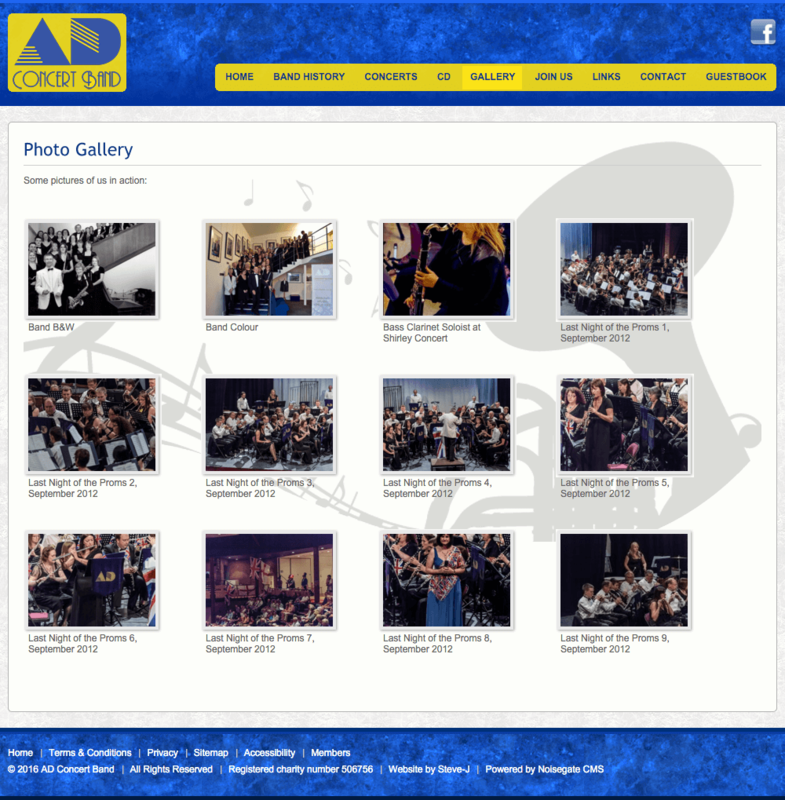 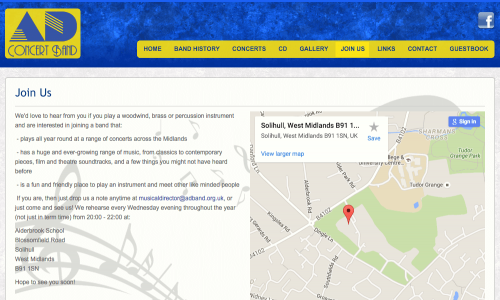 Development of a site for AD Concert Band, a wind band located in Birmingham. 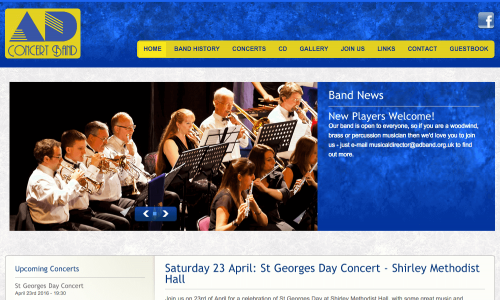 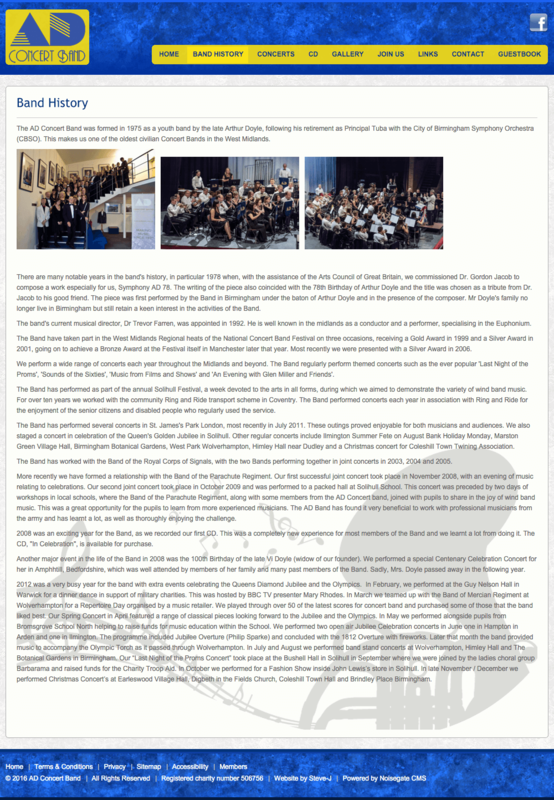 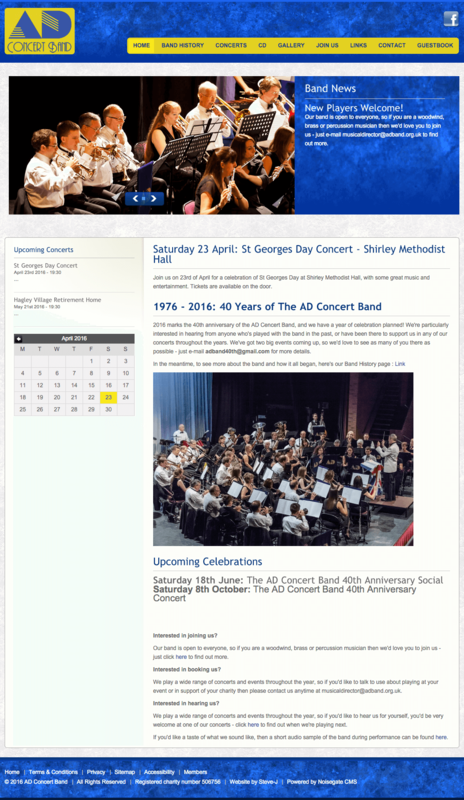 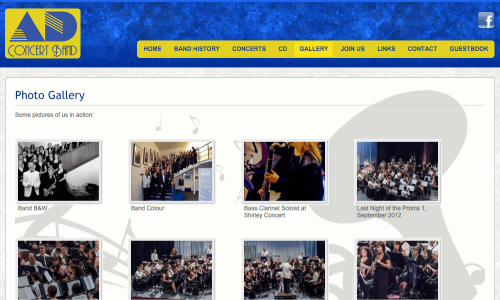 AD Concert are a wind band based in Birmingham, they had an old website which was based running on Joomla. 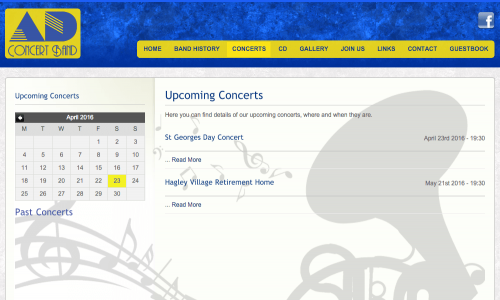 They wanted a new site which would be easier for them to update themselves. 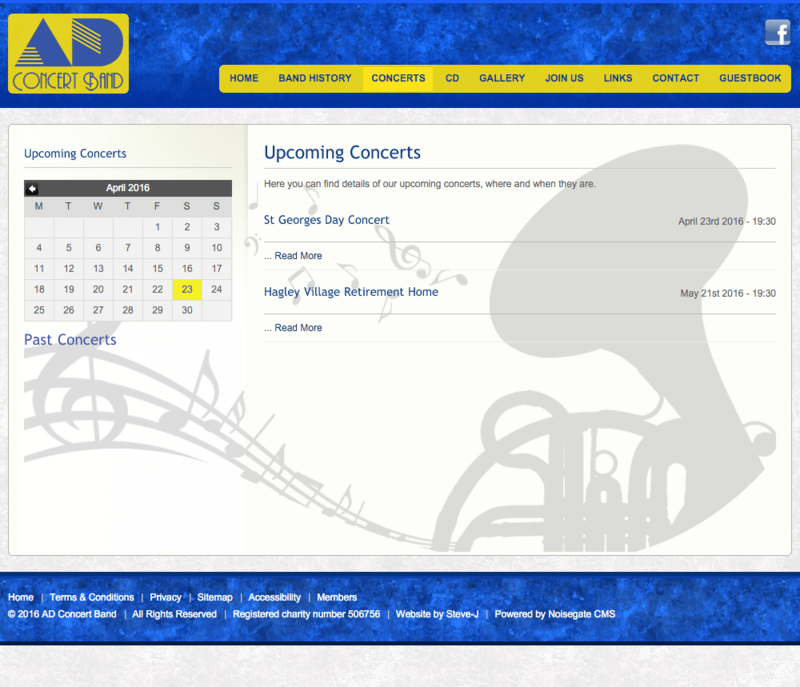 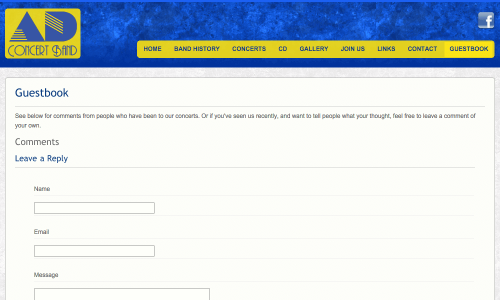 I created them a site using a template from Themeforest and plugged it into the Noisegate CMS so they could update it.